Club Penguin Cheats by Mimo777 Club Penguin Cheats by Mimo777: Club Penguin New Log-off Screen! 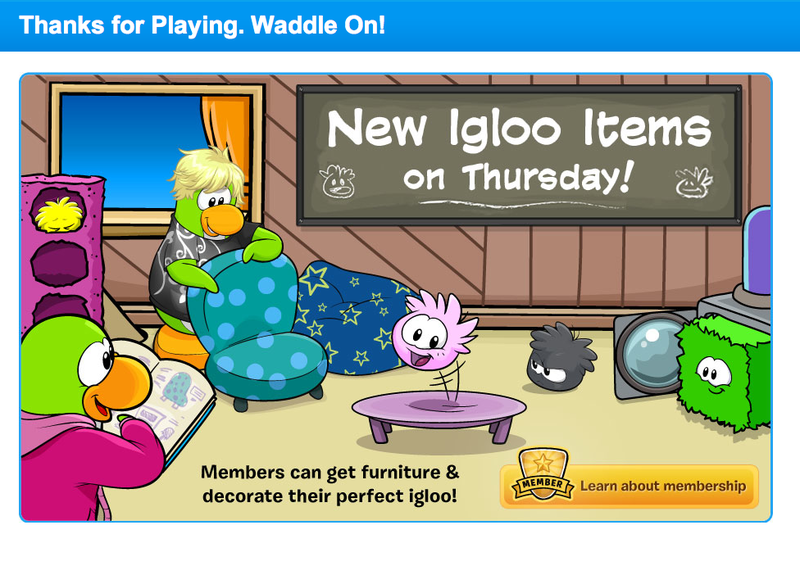 Club Penguin has a new log-off screen! 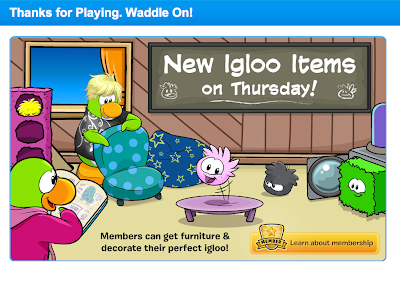 So you know there will be a new furniture catalog! They shouldn't have done this.